In article the major dangerous and harmful factors defining working conditions of the medical worker, and also the base normative documents necessary for certification of workplaces of medical institutions are considered. Keywords: certification of the workplaces, dangerous and harmful factors, injury prevention, intensity of labor process. Library regulations on labor protection NIIOT St. Petersburg // St. Petersburg Research Institute of Labour Protection (site). 2011. 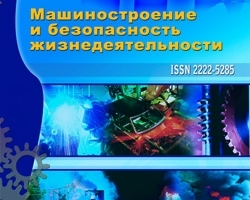 URL: http://www.niiot.ru/doc/docs.htm. The new qualifying handbook for managers, professionals and other employees. – 2nd ed. – M: Publishing House of the Omega-L, 2005. – 393p. About features of workplaces certification of medical institutions, Balandina E.A., №2 (12) 2012, Tumanova N.I.